The recipes in Wild Game Simple are intended to be simple, something the average Joe can make in his or her own kitchen with the ingredients that are on hand. 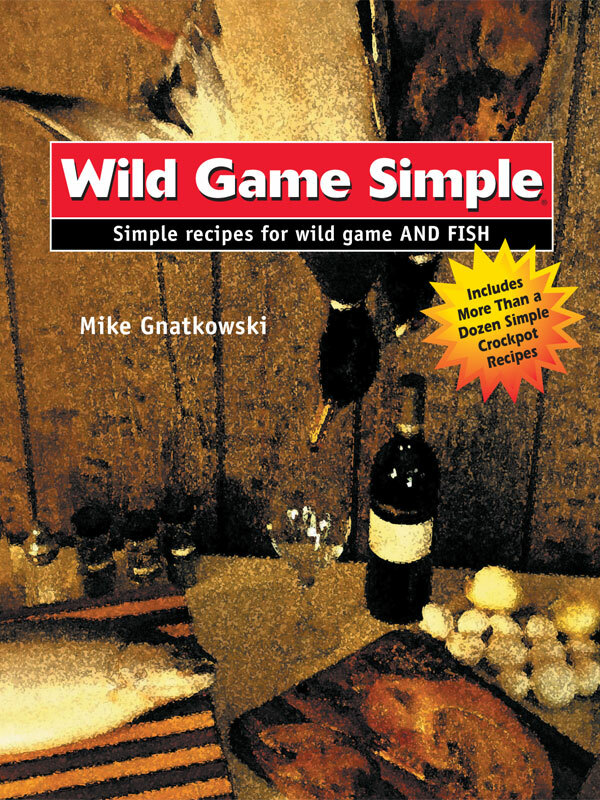 Wild Game Simple features some beautiful full-color images, impressive artwork, it’s printed on high-quality laminated paper and is spiral-bound so it lays flat while being used in the kitchen. Wild Game Simple has seven different sections including soups, chowders and chilies and hors d’oeuvres and appetizers. The book also includes a wine list with each section and suggestions for 140 different entrees. Each section also begins with a narrative or antidote of my 30 years in the outdoors. As fellow outdoor writer Tom Huggler said about Wild Game Simple, “It’s not only a good feed; it’s a good read.” I trust you agree. You can purchase the book online from Smashwords in multiple eBook formats at https://www.smashwords.com/books/view/135010.